The next superfood? 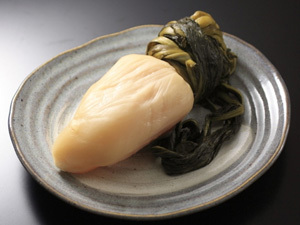 Suguki is a kind of pickled turnip popular in Japan. Natural Health News — Scientists have discovered that bacteria found in a traditional Japanese pickle, suguki, can prevent flu. The research, which looks at the immune-boosting powers of Lactobacillus brevis – found in the pickled turnip dish which is popular in Japan – in mice that have been exposed to a flu virus, appears in the journal, Letters in Applied Microbiology. Independent research is clearly needed, but suguki enthusiasts believe this lactofermented food has protective powers. These effects, however, have not been tested in humans. According to Ms Waki human clinical trials using a probiotic drink containing Lactobacillus brevis KB290 bacteria are underway and scientists believe that foods containing them may turn out to be the next superfood. What it is about this particular bacteria that gives them this amazing property is not known, though studies show it is remarkably tolerant to stomach juices, which are too acidic for many bacteria. 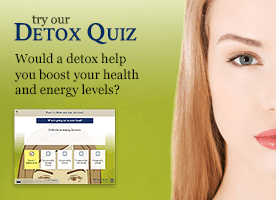 This is largely due to a protective layer of sugars called exopolysaccharides. “We know that exopolysaccharides have immune boosting effects in other similar bacteria, so we wonder if the exopolysaccharides of KB290 are responsible for the effects we see,” said Ms Waki. The effect of the bacteria is to increase the body’s immune response to the flu virus and to enhance activity to eradicate virus infected cells. In this study these effects were sufficient to prevent infection by the H1N1 flu and the scientists think that there could also be protection against other viral infections, including the H7N9, a new strain of avian influenza type A, which has recently emerged in China. Fermented foods are increasingly gaining traction for their health-giving qualities and the suggestion that lactofermented foods can support immunity is not new. In 2005 at the height of the bird flu scare a small study coming out of South Korea found that adding kimchi (a spicy Asian version of sauerkraut) to chicken feed hastened the birds’ recovery from the infection. That same year scientists at the University of New Mexico found eating sauerkraut and raw cabbage may help protect against breast cancer. High levels of glucosinolates, which have been shown in laboratory studies to have anti-cancer activity, are the likely explanation. The study was published as an abstract at the AACR 4th Annual Conference on Frontiers in Cancer Prevention Research. Fermented foods have also been show to help lower cholesterol levels. Lactofermented foods are essentially preserves made from raw vegetables like cabbages, carrots, cauliflower and broccoli – to name a few. Sauerkraut is arguably the most famous examples of these foods in the West – though every culture has its own version. It’s important to note, however that the sauerkraut and other pickles you buy in the stores is not fermented – but simple preserved in vinegar. Not only do many dislike the taste – it lacks the beneficial ‘friendly bacteria’ that give real lactofermented vegetables a healthy edge. Lactofermentation builds on the fact that ‘good’ bacteria such as lactobacilli is present on all surfaces of vegetables, even after washing, slicing and dicing. Lactofermentation is a way of preparing and preserving the food by creating the conditions that enhance allow the good bacteria to grow. Since lacotfermented vegetables are essentially raw they retain important vitamins and enzymes, especially if the vegetables you start with are fresh (and preferably organic). The process of fermentation also makes the vegetables easy to digest thus making it easier for you to absorb all the nutrients in them. By supporting god gut health lactofermented foods could help alleviate constipation, loose stools, irritable bowel and acid stomach, among other conditions. Follow this link to try our easy to make Kimchi recipe.